Aiming to grow urban farming as a viable, thriving and vibrant sector in Vancouver and beyond, Vancouver Urban Farming Society is a convening organization that strengthens the growth of urban farming through education, advocacy, networking and business support. 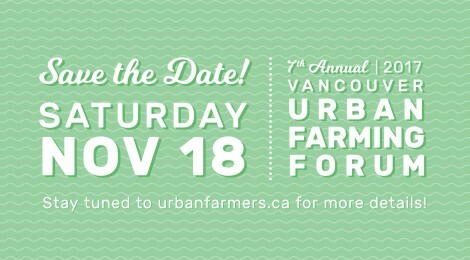 The 7th Annual Vancouver Urban Farming Forum is happening on Saturday November 18th, 2017 at the PNE. The forum is the biggest event in the Vancouver Urban Farming Society’s calendar, bringing together urban farmers, their supporters, policymakers, and all others interested and working in urban farming in this region. Mark your calendars and stay tuned to the VUFS website and our Facebook page for more info. Registration details coming soon! We would love your input as we work to shape this year’s Forum. Do you have a preference for sessions that you’d like to see, or are you interested in proposing and delivering a session? Fill out our Forum Community Survey and Call For Proposals by Friday September 29th! 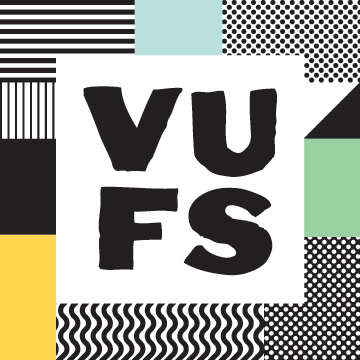 Aiming to grow urban farming as a viable, thriving and vibrant sector in Vancouver and beyond, VUFS is an organization that supports the shared interests of urban farmers. The group strengthens and grows the urban farming sector through education, advocacy, networking and business support.